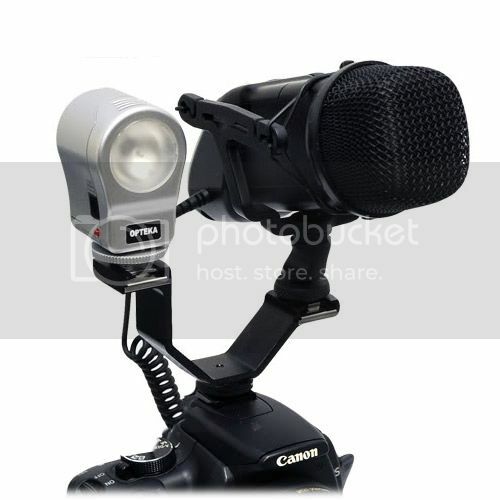 The Opteka VB20 Heavy Duty Dual Cold Shoe Splitter Bracket mounts on to a camera or camcorders accessory shoe to double the mounting points for video lights, flashes, microphones, or monitors. Casted from thick cold steel, the VB-20 is strong enough to support heavier lights and microphones solid aluminum construction. The VB-20 fits standard hot/cold accessory shoes.